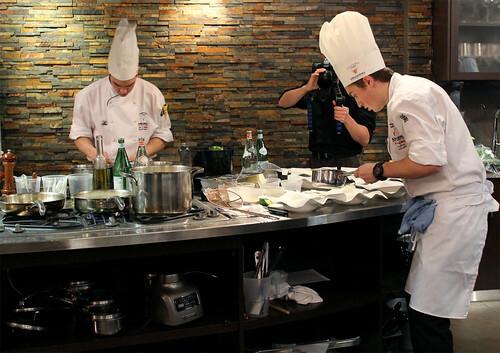 The annual cooking competition, now in its 11th year, brings together students from over 75 culinary institutions from across North America to compete head to head in ten regional competitions. The winner of the Canadian Regional Competition, along with each of the other nine regional winners, will participate in the final showdown in front of national renowned chefs in Napa Valley. At stake is the chance to compete for a $10,000 cash prize, an offer of a position to work for a nationally recognized chef for one year, and some high-profile publicity—all of which are a huge stepping stone and once-in-a-lifetime opportunity for any young aspiring chef. The students were given two hours to prepare their signature entrée dish. Each student’s dish was then judged by the judging panel—comprised of chefs and food writers—based on his or her kitchen skills, taste and presentation of the dish, and his or her personality and general charisma during the presentation. The Canadian Regional judges this year (seven in total) included Chef Normand Laprise of Montréal Restaurant Toqué, Chef Dan Potter of The Blackshop in Cambridge, Lisa Yeung of the Huffington Post Canada, and Emily Richards of Metro Newspaper. Unfortunately, due to some misdirection and my apparent lack of direction that day, I ended up missing the first half of the reception event. By the time I arrived at Cirillo’s Culinary Academy, the fourth student was already presenting her dish to the judges, while a packed room eagerly looked on. After quickly took some photos up front, I made my way to the back to see if I could still manage to salvage a few bites. While I missed the first four tastings, I did manage to get a bite of the last three competitors signature dishes. Kevan Hafichuk’s Poached Spot Prawn on an Oxtail Lemongrass Tortellini was nice, although the oxtail tortellini could have a used some more seasoning. I especially love the sweetness the baby peas added to the bite. Jean-Christophe Comtois’s Milk Veal Tenderloin with “Tomme des Joyeux Fromagers” Flavoured Polenta had lots of fantastic flavours and textures going on. This was by far my favourite of the three dishes that I had a chance to taste. 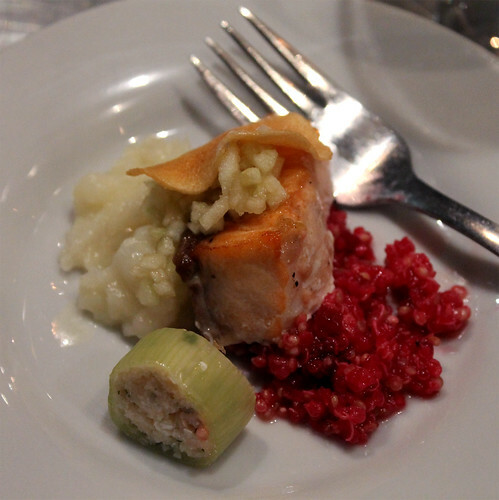 Kellie Callender’s Slow Sockeye Salmon was a lighter bite—a piece of salmon confit served with beet-quinoa salad, sunchoke puree, and crab-stuffed leek. The main action was happening in the front of the room, where each student was presenting their dish to the judges and answering questions. I did wish they had hooked up each judge with a microphone so that the audience could hear what they had to say about each dish. While the students were presenting, audience members could take a look at the plated dishes, and I was really impressed with each student’s plating. Humber College’s own Timothy van Ryzewyk, Janine Hall, and Jean-Christophe presented plates I found the most visually stunning—unique in their simplicity yet ensuring there was a right balance of texture and colour and food to not overcrowd the plate surface. Every attendee was given a chip upon entrance to cast their vote for their favourite dish. I am sad that I couldn’t sample all seven dishes to cast a fair vote, but in the end, it was Kellie who took home the People’s Choice Award for his salmon dish. 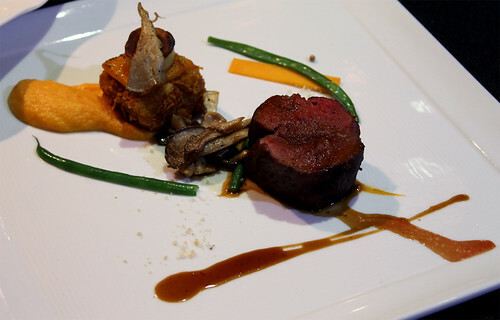 Jean-Christophe Comtois was declared the winner of the Canadian Regional Competition for his veal dish. Jean-Christophe will be off to the Culinary Institute of America at Greystone in California’s Napa Valley next week, where he will be representing Canada in the Finals! Best of luck to Jean-Christophe, and congratulations to all the students who participated in the Canadian Regional Competition. This was certainly a talented group of students, and I’m sure this is just the very beginning of their budding talent and what will no doubt be successful careers for many of them. A special thank you to S.Pellegrino and Polaris Public Relations for making this event possible. 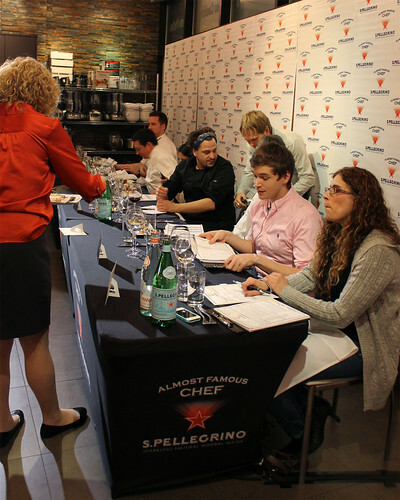 View more photos from the S.Pellegrino Almost Famous Chef Canadian Regional Competition. I'm thrilled to be giving away a $150 gift certificate dinner for two to Mark McEwan’s Italian restaurant Fabbrica in Toronto, courtesy of the S.Pellegrino® Almost Famous Chef® Competition. To enter, simply email me with “Fabbrica Giveaway” in the subject line of your email and in your email, tell me which 3 restaurants of S.Pellegrino's World's 50 Best Restaurants list you most want to dine at this moment. 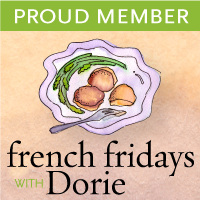 Contest closes Tuesday, March 5 at 11:59 pm EST. The winner will be randomly selected, and announced next week. Good luck! 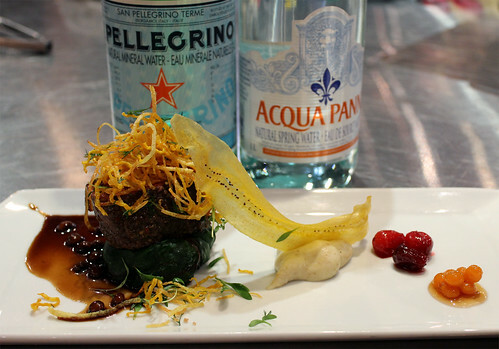 S.Pellegrino Almost Famous Chef Competition Recipe eBook now available! And now you can recreate some of the signature dishes from past S.Pellegrino Almost Famous Chef Canadian Regional Competitions. This eBook features 14 recipes—all adapted for the home chef—including lobster bisque and bison tenderloin, along with some fun cocktail creations using S.Pellegrino drinks. Download the FREE Almost Famous Chef e-cookbook here.